We all have a list of favorite websites that we visit on a regular basis, but the process of typing in the URLs or opening them from the bookmark/recently visited tab can be a hassle sometimes, especially if you open them multiple times a day. And then there’s the matter of managing multiple open tabs, which makes it a pain on older systems. So if you have ever wished for a unified window to access all your favourite websites in a single window. 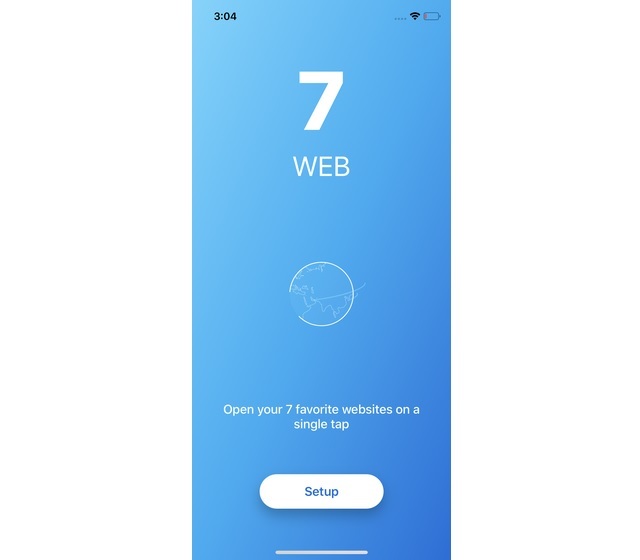 If that’s the case, the 7 Web iOS app can prove to be a boon for you. 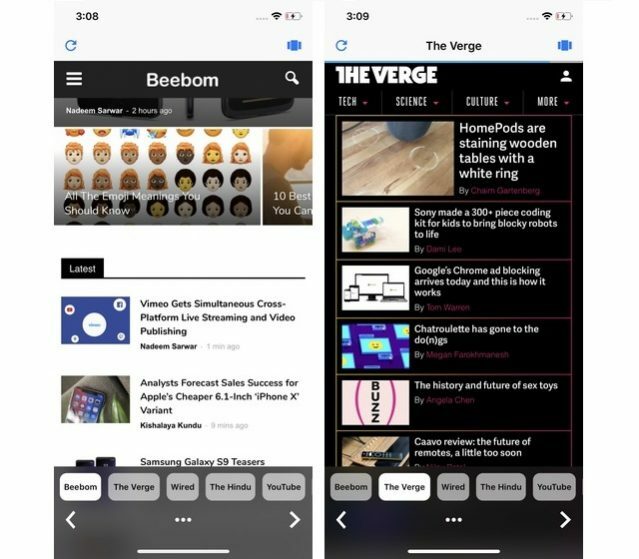 Designed by Spaceage Labs, the app was spotted on Ycombinator, and since I quite liked the idea, I decided to give it a try, and now I am glad that I did. 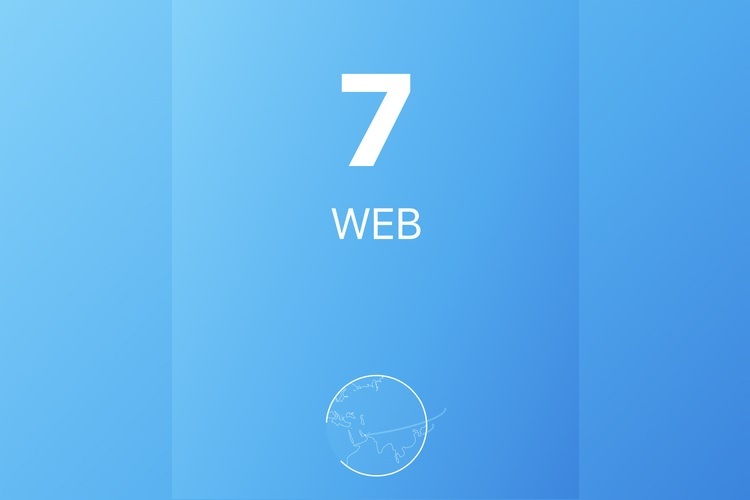 The 7 Web app brilliantly does what it promises to do. The app’s homepage is squeaky clean, with only the homepage of one of your favorite websites visible. Just swipe left or right to move between other favourites; the app will load the URL that you request without any delay in a buttery smooth fashion. You also have the option to skip websites and access any website in your list by scrolling through the carousel at the bottom of the screen. 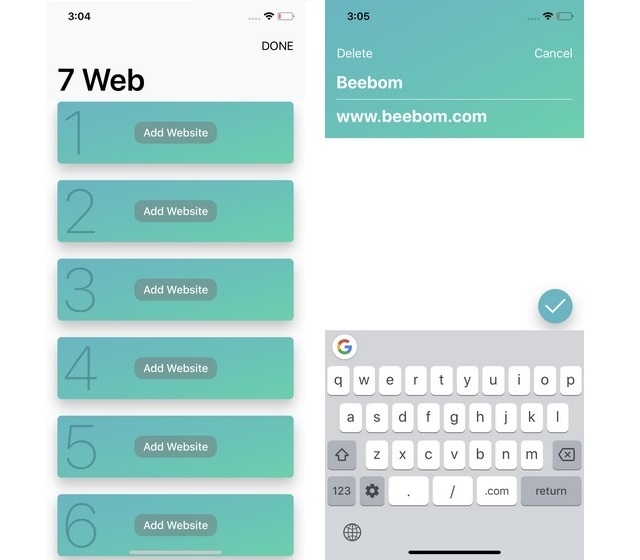 As soon as you start the app for the first time, you’ll be greeted with a neatly designed page that contains seven blank cards. One has to tap the cards and enter the name and URL of their frequently visited websites. You can also add a new website later on by substituting it with an older one in the cards menu, whose toggle is located on the top-right corner. Once you are done with the process, you’re good to go. The app’s interface is as simple and aesthetically appealing as it can get, and its gestures are buttery smooth too. The only downside here is the fact that you cannot add more than 7 websites at a time, and in case you really want to add another one, you have to remove an older one from the cards menu.